If you've followed the advice in 10 Steps to Building a Complete Portfolio you should already have an emergency fund. If you followed the advice in How Much Cash Should I Keep In My Portfolio? you should already have liquidity reserves built up to take advantage of opportunities as they present themselves. However, real life is sometimes messy and people do not always behave as they should. 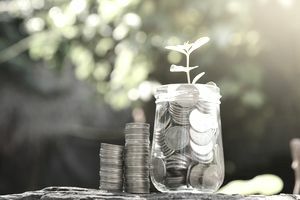 If you find yourself in a position of needing to come up with money quickly, there are several options available to you that might not be possible for non-investors. Though I don't recommend them, I at least want you to be aware of their existence. For those who have been diligent and disciplined, the odds are good that you have built up a respectable brokerage account outside of your retirement accounts such as a 401(k) or Roth IRA. If you’ve been at this long enough and have a decent job, it's probable that you’re in the six-figure range; e.g., a 40-year-old that began investing $5,000 per year at 22 after graduating and landing his first job would have just shy of $228,000 assuming an average rate of return. Were you to need emergency funds, it’s possible to temporarily borrow against your securities to create a margin loan, withdrawing the cash. Raising money this way is not without risk! Not only is your interest rate floating and subject to change, but if your stocks and other investments fall below a specific threshold, your broker could sell your assets to pay back the loan without contacting you. Many brokers will give you the courtesy of a call (known as a margin call) to deposit more funds so this doesn’t happen, but they aren’t required to do this by law. This could either lock in losses or trigger big capital gains taxes, depending on the success you’ve had with the positions in your account. Worse yet, you have no control over which stocks are sold; that is entirely at your broker’s discretion. One of the successful e-commerce startups was funded by writing a check against an account that held some of my Berkshire Hathaway shares, enabling me to float the company its working capital until it generated the funds to repay the entire contribution (which only took a few months – I’m one of those folks that, like any true value investor, only invests in sure bets that offer outsized paybacks). Those companies now return the favor, providing cash for me to invest. It's a virtuous cycle that, in some form or another, I truly hope you can introduce in your own life, building streams of passive income that allow you to spend your time doing what you enjoy rather than worrying about earning a living. Sometimes the fastest and most effective way to generate immediate funds is to take on a second job. One close family member of mine found that by working the night shift at a mid-scale restaurant, she was able to generate more than $30,000 per year in tips above and beyond her day job. Her skill was connecting with people and she found a second job that leveraged that talent. For many people, they argue they don’t have time. The Internet has changed all of that. The world is now filled with those who make thousands of dollars a year on eBay, working only a few hours a week from their homes. You can freelance from Starbucks. Creativity often pays off more than just putting in more hours, so as tired as the phrase may be: Think outside the box. This should only be done in extreme cases, but it is possible to borrow against the assets you’ve built up in a retirement account. There are very specific rules to follow or else you could find yourself paying huge tax penalties. If things should get worse before they get better, you could have inadvertently wiped out your retirement, causing yourself much bigger financial problems down the road. For more information, read 401k Loans and 401k Hardship Withdrawals: Accessing Your Retirement Money. Most of us have some type of rewards based credit card, the most popular being the venerable American Express. Over the past few years, you might have rung up some pretty hefty reward balances, especially if you pay for things such as gas and groceries on your card. Check into your program and consider redeeming your points for gift certificates or merchandise from retailers that can free up cash. At the time of this writing, for instance, I have 114,719 points on one of my American Express cards. If I needed, this could translate into nearly $1,100 in gift certificates to Wal-Mart or Target to cover household expenses or to Brooks Brothers to buy clothes. That’s money that won’t come out of my household budget. It may seem cliché. It may seem odd. But it works. Almost every household has excess gold in the form of jewelry and with gold prices soaring for the past few years, there are plenty of businesses that are happy to take that scrap and melt it down, giving you a big fat check in exchange.